About 12,000 people in Lingyuan, northeastern China’s Liaoning Province, have signed their names to an effort aimed at holding a former regime leader accountable for major human rights abuses. Lingyuan, a steel-producing town located in an agricultural region near the Mongol steppe, has a population of about 650,000. “Jiang Zemin has brought about persecution against Falun Gong for nearly 17 years, bringing great losses to the country, the people, social morality, the economy, and rule of law,” reads a petition organized by adherents of the banned spiritual practice. Hundreds of thousands of Chinese have submitted legal complaints against Jiang Zemin, former general secretary of the Chinese Communist Party and the individual responsible for launching the brutal 1999 campaign aimed at exterminating Falun Gong. The action has been going strong since last May, when a reform to China’s judiciary law made it easy for common citizens to submit cases directly to the nation’s supreme court and prosecuting body. The petition called for thorough investigation of Jiang’s crimes against humanity and genocide. 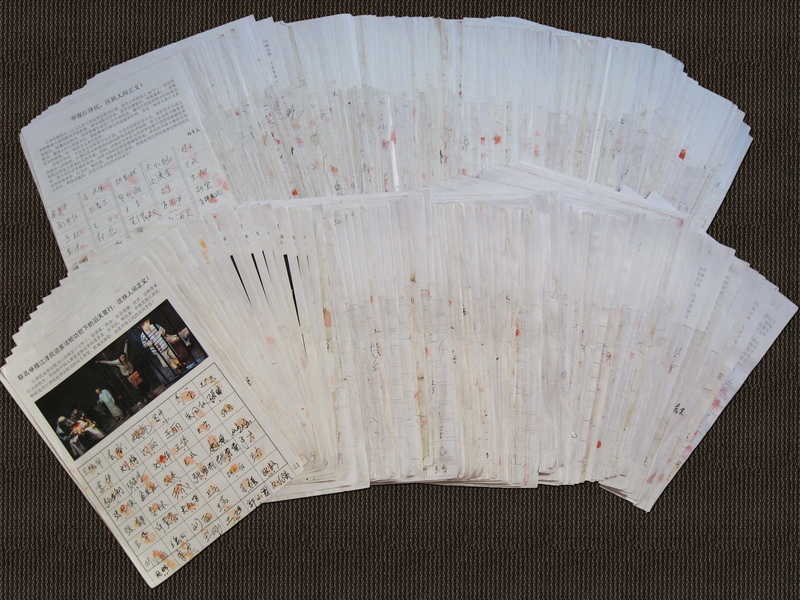 Collected signatures and thumbprints can be seen in images uploaded to Minghui.org, a clearinghouse for first-hand information about the spiritual practice and the persecution it suffers in its home country. Aside from the persecution of Falun Gong, China’s staggering corruption and socio-economic woes have been attributed to Jiang’s time in power. The leader built and reinforced a vast network of political allegiances within the Party, state, military, and economic spheres, promoting individuals based on their loyalty to him and his campaign. Falun Gong was first taught in Northeast China in 1992. Also known as Falun Dafa, its adherents follow a traditional spiritual and meditative discipline based on the principles of truthfulness, compassion and forbearance and five meditative exercises. About 4,000 practitioners are confirmed to have been killed in the anti-Falun Gong campaign, based on the limited information that has been verified. The full scale of the campaign is far greater, however, with human rights investigators estimating that since 2000, about 1.5 million organ transplants took place in China, with most of the organs coming from Falun Gong. In Lingyuan, the persecution has claimed the lives of at least 57 people and hundreds have been sentenced to prison or labor camps, according to incomplete statistics by Minghui. In October 2000, Lingyuan steelworker Wang Le was imprisoned in a labor camp for going to Beijing to appeal the persecution against Falun Gong. The 28-year-old practitioner suffered intense torture from both inmates and the camp guards, including being burned with cigarette butts, and being propped against a wall with his armed forced backwards at excruciating angles, as pictured below. He was deprived of sleep and hung from ceilings, and eventually went insane, Minghui says. Wang was released in April 2001 and died of his injuries a month later. Wu Yuan, a middle school math teacher in his forties working in Lingyuan, was sent to a prison in the provincial capital of Shenyang, after he revealed his beliefs to his students in 2002. The next December, police abruptly informed his wife that he had died of cancer, but his body was covered in bruises when she saw him in the morgue. Petitions calling for Jiang Zemin to be brought to justice, like the one in Lingyuan, have been circulated in multiple Chinese cities, where they can collect tens of thousands of signatures. In Hebei Province of northern China, a petition gained more than 50,000 signatures. In anonymous comments reported by Minghui, signatories condemned organ harvesting and compared the crimes against Falun Gong to the genocidal policies of fascist dictatorships. A 2012 petition being passed around in Heilongjiang province in Northeast China was signed by at least 15,000 people, including a guard working at a prison that holds Falun Gong adherents. The guard reportedly confirmed that practitioners had been murdered there. In other cases, people have signed petitions to call for the release of individual practitioners detained or jailed by the authorities. 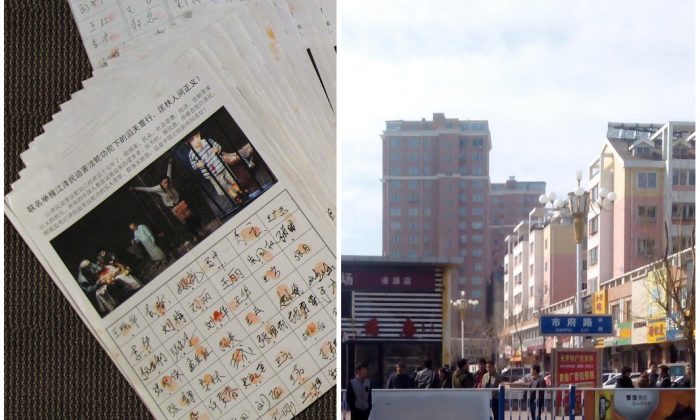 In 2014, in the town of Boutu, the sister of a jailed Falun Gong practitioner gained the signatures of people from 300 households, before being arrested herself.